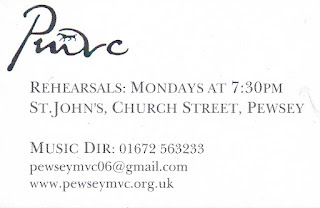 Like most choirs, most Christmas-times, Pewsey MVC was extremely busy in the early weeks of December, fulfilling a record number of engagements in support of local charities. Since then we have appreciated the chance to kick back and chill out amongst the seasonal fare and frivolities. Now though it is a New Year and we know that the Music Director has lined up new songs for us to sing, a timely reminder than the well-documented benefits of singing in a choir are year-round. Learning new songs from scratch is always an exciting and challenging time for everyone in the choir so it is the ideal time for new recruits to join up ... you will be on exactly the same page as the rest of us! ... so why not make a New Year's Resolution that we will help you keep: #joinachoir ... just pop in and say hello, it's not The X Factor, there isn't even an audition. 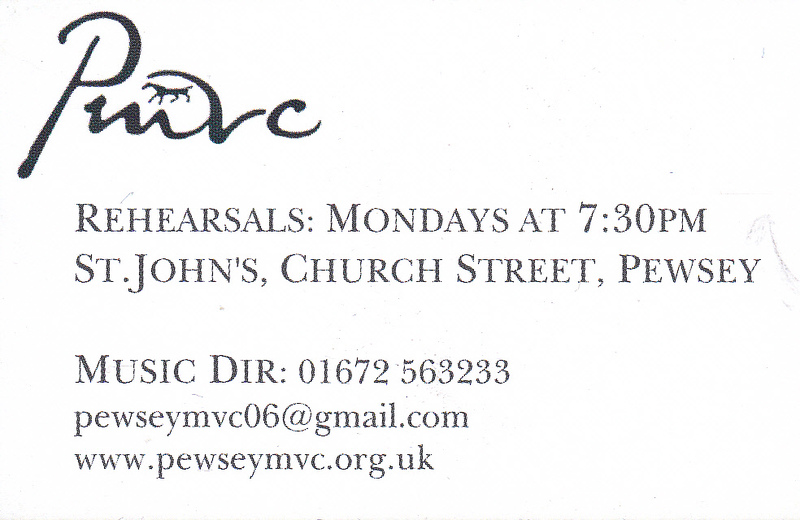 The New Year begins on Monday 11th January 2016, St.John's, Church Street, Pewsey.